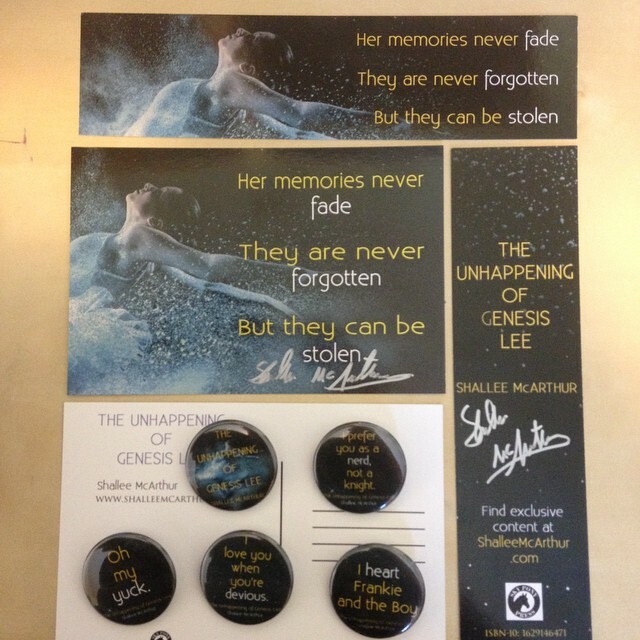 It's now just over two months until The Unhappening of Genesis Lee comes out, and exciting things are happening around these parts! If you follow me on Twitter or Facebook, these might be a bit familiar. First, the audio rights to the book sold to Audible! I'm thrilled that there will be an audio version of the book, since I have so many friends who love audio books. I can't wait (and I'll admit, I'm a little nervous!) to hear my book performed out loud. Oral storytelling has such a strong tradition for generations, and I was exposed to a lot of it while in Ghana, so this feels particularly special to me. Next...my ARCs arrived! 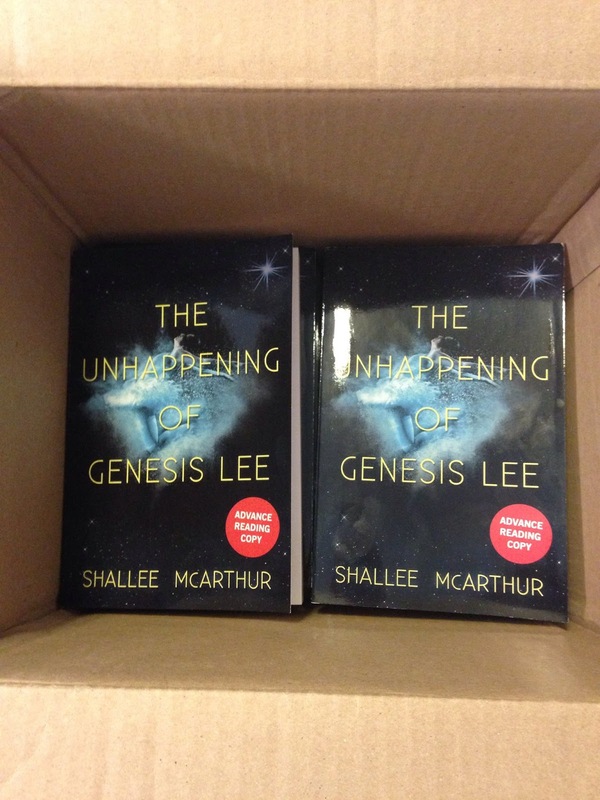 I checked the mailbox like a nervous squirrel for days, and when the box with my publisher's name on it finally arrived, I shrieked, "It's here!" And then I juggled that box, the rest of the mail, my purse, my son's backpack, and my son himself back to the house (we'd just come from his preschool). I ripped the box open, and there they were! Books. With my name on the front, and my story between the covers. I laughed like a maniac. And you know what the coolest part was? Not seeing the cover with my name on it, or reading the back copy, or the copyright page with my name on it, or even signing one copy on the title page with the words, "Ha ha! I'm signing my own book!" No, the best part was flipping it open to see the words I wrote IN A BOOK. Suddenly, it was all real. It got even more real when I realized that people are now READING the words I wrote-- because there are also eARCs up on Edelweiss for short-term download! So, my friends, it's real. After years and work and luck and a million other little and big details, I finally have a grasp on the fact that this story I wrote will be out there for others to read. It's pretty much the best feeling in the world! And to share the joy, if you're interested in a signed postcard, email me your address and I'll get one in the mail to you!